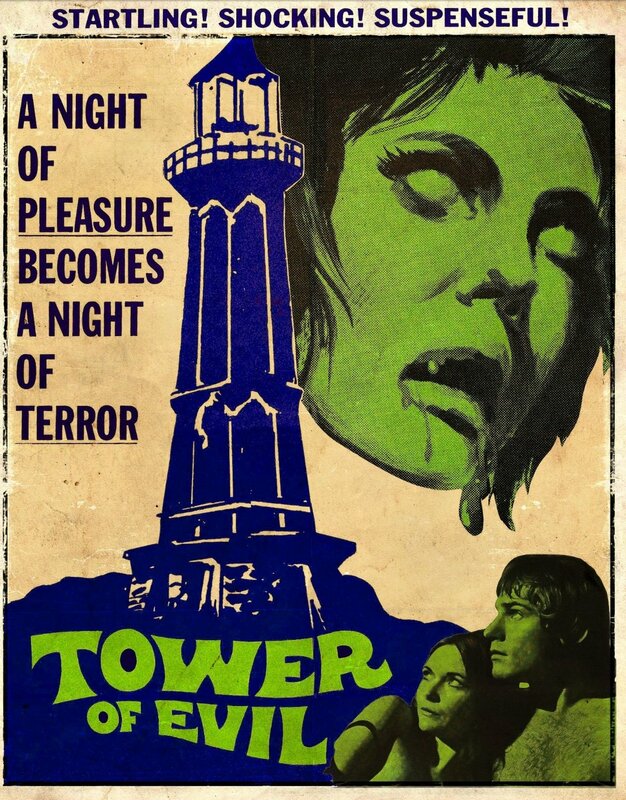 Murder and madness in and around an abandoned lighthouse. Oh, and Robin Askwith‘s arse. One massacre later, a single catatonic survivor mutters a few words that some archaeologists believe refers to lost Phoenician treasure. So they go back to the island, which is a splendid idea, I’m sure you’ll agree, especially when their boat blows up and someone smashes the radio, leaving them stranded. 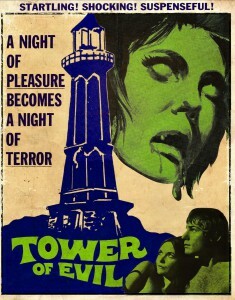 “Tower of Evil“, also known as “Horror on Snape Island”, “Horror of Snape Island”, and “Beyond the Fog”, is a typically early 1970s British horror film. Modestly budgeted, a flash of T&A, and dodgy dialogue are all present and correct. Robin Askwith wearing a T-shirt and jeans with butterflies embroidered on them: check. Dennis Price: check. It’s got some good gore in it, and a fair bit of atmosphere too. The effects are a bit lame, with limbs and heads clearly borrowed from the leftovers room at the London Dungeon, while a boat explosion has all the whack of an impotent firework. All the cast are as hammy as you’d expect, but Jack Watson as the local sailor who takes the team out to Snape does a good job, reminiscent of an English Private Frazer – all doom, gloom and dire predictions. (Jack Watson, by the way, is best remembered – by me, anyway – as RSM Sandy Young in the splendid “The Wild Geese“. Watson came from a theatrical family, and his father was a music hall entertainer by the stage name of Nosmo King. Get it? Read it again. Oh, those music hall folk were funny, weren’t they, Roy Hudd?). But it runs an enjoyable hour and a half as the mystery is slowly revealed while people are picked off one by one. 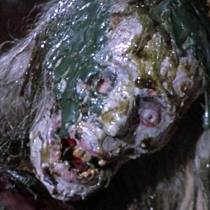 There are certainly far worse horror films out there from the same era, and many more from today that are just plain dull. Fun, culty stuff.